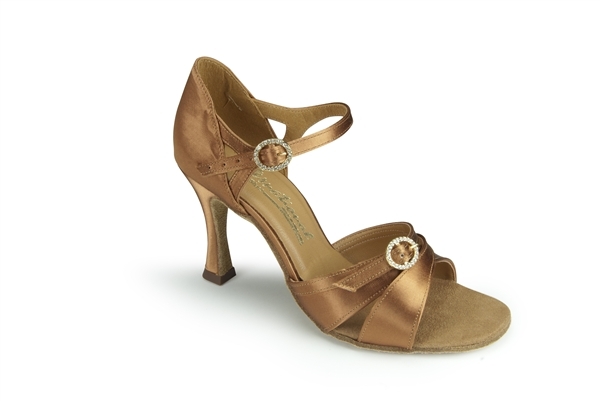 'Gabriella' is a popular, elegant and attractive style within our Ladies Latin Collection. Online, this style is available in Tan Satin on a 2½" IDS and 3" IDS heel, but should you prefer another heel, another material or a different width then please let us know. Read the below description to find out how we can make shoes tailored to your tastes and preferences!